So I was in Starbucks today getting an iced green tea whilst I waiting for my little actors to get out of camp, and I began to wonder, does Starbucks import coffee from Ecuador? 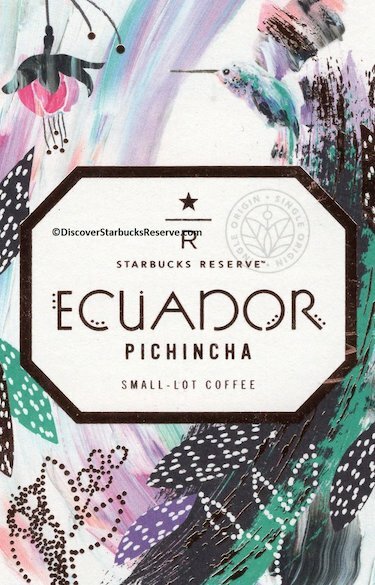 A quick browse around the cafe yielded no answers, but an equally quick browse of the internet revealed that yes indeed, Starbucks does import coffee from Ecuador - in the same province of Ecuador as we manufacture our products in no less! Does that make us neighbors? Partners? Responsible world citizens boosting a third-world country's economy?? As Fair Trade Federation Members we are committed to those principles of social responsibility and stewardship. But does the coffee industry have the same or similar standards? I don't know. Readers, I love a good strong cup of coffee, and I am going to order some online just to give it a try. And as a global citizen, I know my responsibility as a consumer is to learn all there is to know about the products I purchase including the standards by which they are manufactured. So stay tuned for the continuing adventures of Pampeana as we research our impact in Ecuador and the dealings of our neighbors in Ecuador. Can you believe Starbucks coffee is imported from the same province as we import our products? I'm so intrigued!